Disclaimer: We were invited to this event as media. All attendees received a Gift bag. All opinions about the products or event are 100% honest and all my own. 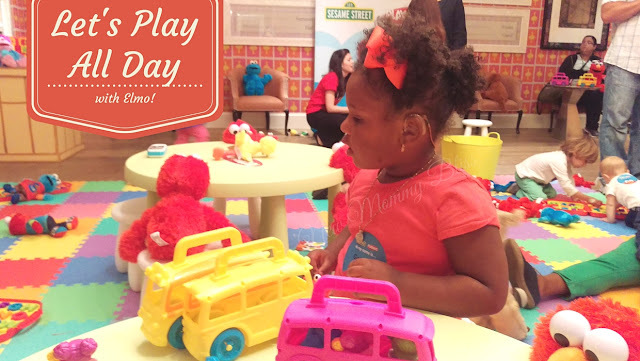 Last week, Gabby and I joined Playskool and Sesame Street at the Crosby Hotel in NYC for a super cute Play All Day Elmo Celebration! 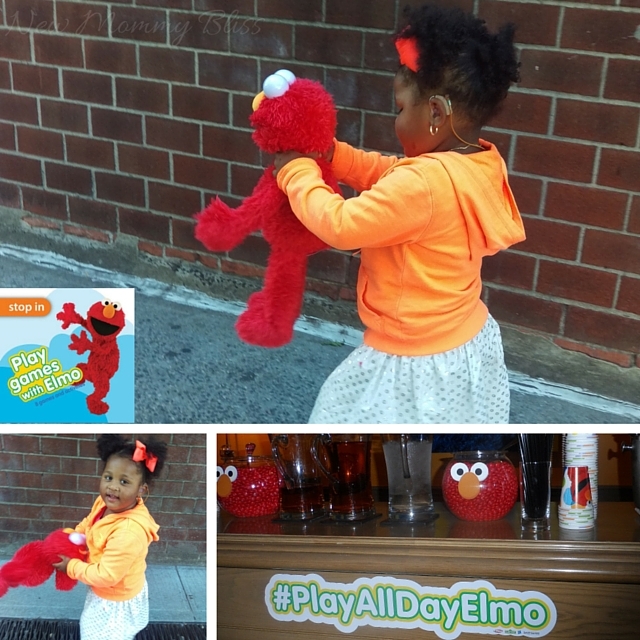 Elmo toys have always been the most adorable, interactively fun, and playful plush toys on the market. (Remember Tickle Me Elmo?) 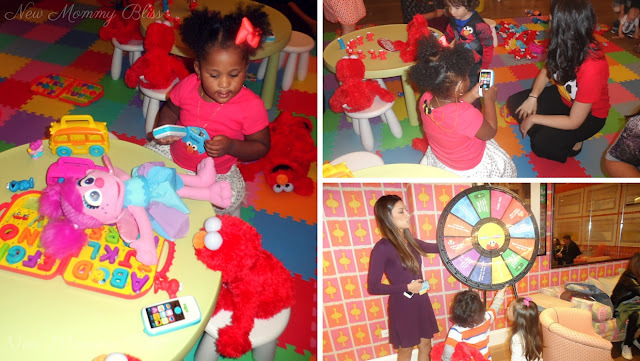 Well, it's no surprise that the new Play All Day Elmo is the most playful Elmo toy to date. 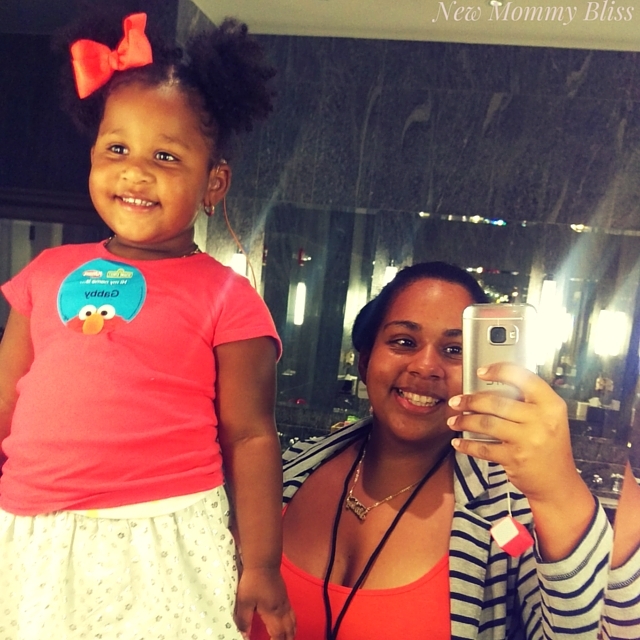 I have to give 2 huge thumbs up to Hasbro for putting together an amazing event that was PERFECT for my toddler! There was a quick photo Opp with Cookie Monster & Grover, but Gabby wasn't having it so she waved from a distance. Next stop was the super awesome playroom! All the children in that playroom were in Sesame Street / Playskool / Playdate Heaven. It looked like Sesame Street exploded in that One Fun room. Each chair had a Play All Day Elmo on it so all the kids had a chance to play. It's really amazing how many interactive games one toy has. The kids toyed around with the many different toys that were present like Talking 123 Cookie monster, Sesame Street Smart phone (It's touchscreen!?! 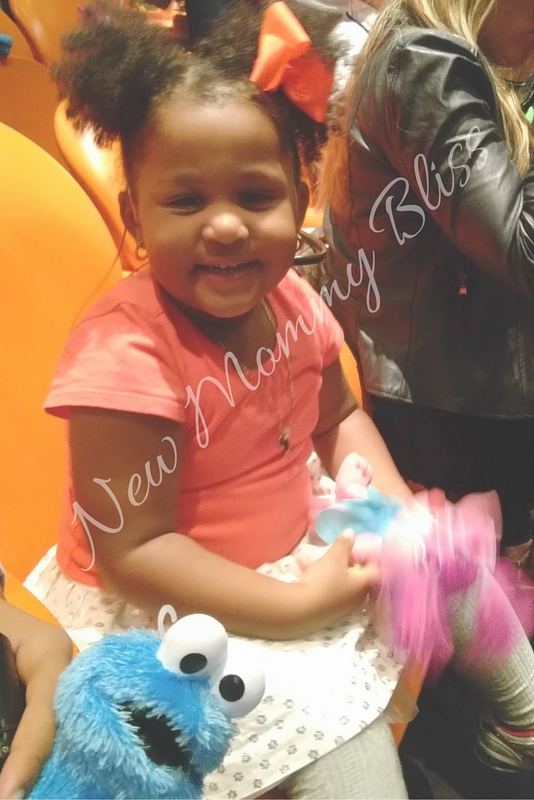 lol), Adorable character figures, Abby Cadabby Plushes, and Gabby's 2nd Favorite... Elmo's On the Go Letters! After playing and snacking, We grabbed our Popcorn and sat down in the cinema to see a few special Guests. It was pure joy in there listening to the kids excited over Abby Cadabby asking "Where's Elmo? Do you see him?" It was really adorable. After their Little Performance We watched a bit of Elmo's new DVD called Play All Day with Elmo! Gabby could not stay seated being that the video encourages pretend play and so much more. I can confidently say that my daughter had the time of her life and we can't wait to see what other fun event Hasbro has in store! We received a Play All Day Elmo toy as well as a Play All Day With Elmo DVD for attending!